If you're looking for things to do in Naples you have found the right place. Since we have the beach here, there are all sorts of water activities like fishing, paddle boarding, body surfing, boating and more. Then there's the dozens of golf courses to choose from, a variety of restaurants, places to shop or walk around, and lots of nature/wildlife (which I'll tell you about below). 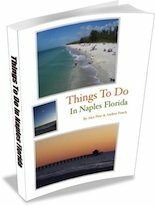 Looking for things to do in Naples at night? I'll show you that too. One of my favorite beaches because of all that it offers. There's a shuttle that takes you through the mangroves (on a boardwalk). You can also choose to walk but there are great views here. A super awesome place to kayak or canoe through the beautiful backwaters. 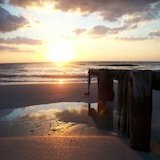 A list of the rest of our beautiful beaches in Naples. The easiest way to get on the water in Naples, $5 per person all day pass. Next door to the Naples Zoo you can enjoy nature trails, butterfly garden, guided kayak tours, boat tour and more. Info on Naples Florida kayak and canoe adventures. Rent your own scooter to get around town in a simple, fun and easy way. This resort is nestled right on Naples Bay near downtown and all of the action in Naples. Learn about their BOATEL packages and other fun rentals. Solve your boating adventure needs with one of these three companies. What sort of boat do you need? Paddleboard on the gulf on your favorite beach in Naples. Jet ski rentals in the area. You can rent on the beach, or ride around solo (2 hours min), or go on a guided tour. You can ride around Naples Bay in a jet powered kayak. You see? There are plenty of things to do in Naples. The fishing pier is a great place to sit, walk, or stand around to watch dolphins, pelicans, and other birds. Or you can bring your fishing pole (the city takes care of the license for you). An 11,000 acre preserve with a 2.25 mile elevated boardwalk that takes you through a cypress forest, prairie, and more. You can explore nature easily at Clam Pass. A boardwalk through the mangroves, to the beach, and a pass to explore on foot. 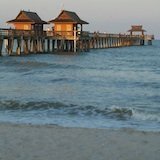 Take a tour of the oldest house in Naples Florida that was built in 1895 - situated just blocks from the fishing pier in downtown. A mini park in Old Naples. No playground just nature and a couple of gazebos. Beautiful and peaceful. Mercato is located in North Naples (right by Vanderbilt and US 41) and has a few different "hot spots". Live music, outdoors, and a sea breeze. More live music and dining in the downtown Naples area at night. This place has a unique and funky feel to it which makes it a must go to place if you've never been. Plus it's right on Naples Bay. This is our local mall. It's very nice but is probably like many other malls you have already been to. 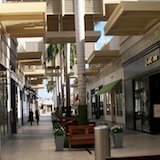 The Village is a high end shopping center right on Venetian Bay with stores, a coffee shop, ice cream, and restaurants. Are you a thrifter? Check out these places then. 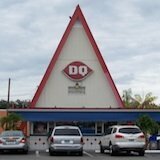 This is one of our favorite places in town. Yummy. A really fun place to eat that's right on Fifth Avenue South. Tell us about your favorite things to do in Naples using the simple form below. It'll take you less than two minutes. A Naples Florida ceramic studio where the pottery is painted by you! 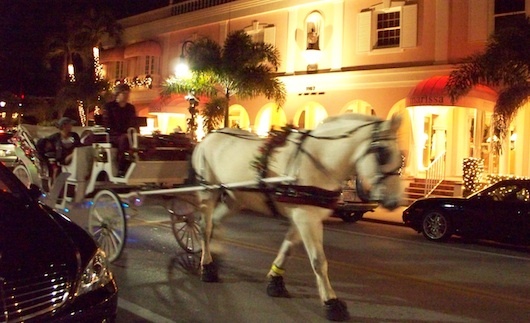 What Do You Like To Do in Naples Florida? 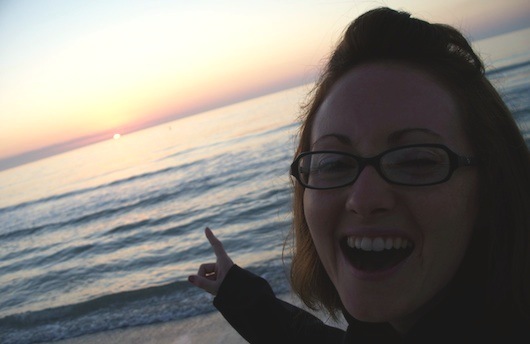 What is YOUR favorite thing to do while visiting Naples Florida? If you haven't been here, what *would* you do? ?